Most Sufis believe that the great religions and mystical traditions of the world share the same essential Truth. The various prophets and spiritual teachers are like the light bulbs that illuminate a room. The bulbs are different, but the current comes from one source, which is God. It is the same light; each of the individual bulbs receives electricity from a single source. The quality of the light is always basically the same, and so is the original source - from Essential Sufism. ...has explored various streams following his destiny East, through endless travels with Roma and Sinti people, carrying little luggage but immense dreams. On Jaadu Magic Titi Robin and Faiz Ali Faiz are joined by a group of musicians playing acoustic instruments from the east and west. 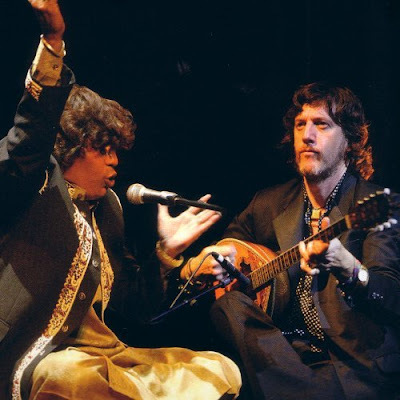 All the tracks are original compositions by Titi Robin; their starting point are the modes and rhythms of Qawwali, but the music expands to encompass flamenco, gypsy and Indian classical music. Fusion is now a redundant musical term; Jaadu Magic is not fusion, it is new music. And thereby lies an important lesson for classical music: the bulbs are different, but the current comes from one source. One of the most important trends in music savant during the last ten years has been the emergence of fresh, exciting and usually improvised music like Jaadu Magic created by musicians from differing cultures and performing traditions. Sadly this trend has largely passed classical music, with its heavy baggage of strict notations and equally strict performance traditions, by. The beneficiary has been that grey area where world music meets jazz and folk. This territory was once the property of ECM, but as we move into a new decade others are now beating Manfred Eicher at his own game. 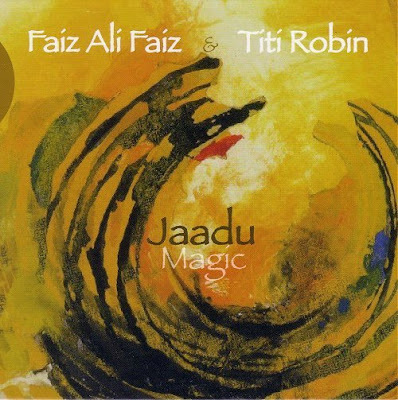 Artistic residencies such as that at Les Escales Saint-Nazaire in France, which brought Titi Robin and Faiz Ali Faiz together, and French labels such as Accords Croisés, on which Jaadu Magic is released, are the crucible in which this new music is being forged. The second decade of the twenty-first century is going to be a very exciting time for music savant, but perhaps not for classical music. In the 1960s young people adopted rock as 'their' music because it came without prior ownership and without performance traditions. Young, and not so young, people are today looking for music to call their own. But, unless classical music can distance itself from prior ownership, innovative projects such as Jaadu Magic, which comes with hand baggage only, may be the future. * Jaadu Magic, seen in the video above, was one of the albums featured in My World of Music on Future Radio on December 26th 2009. Listen to a podcast here. More on the Roma, the forgotten Holocaust victims, here. thank you for sharing that and for your wonderful blog. I write only to wish you and your family a fine Christmas, and in the New Year, whatever it may be you may wish for yourselves. And this I do in part because of the great pleasure given to me by your blog -- its byways, its rareities, its cogent analysis, its muscular common sense. Thank you for this, Pliable.